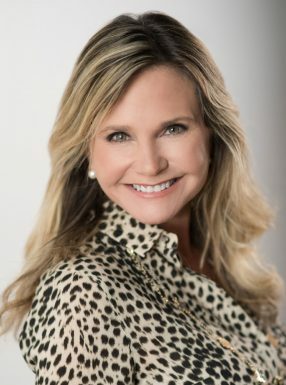 Robin Ganzert, Ph.D., serves as president and CEO of American Humane, the country’s first national humane organization and the first to serve animals, whenever and wherever they are in need of rescue, shelter, or protection. Under her leadership, American Humane continues to earn recognition for its commitment to transparency, accountability, efficiency, and financial responsibility, including the top Four-Star rating from Charity Navigator, the “Seal of Excellence” from Independent Charities of America awarded to fewer than three percent of charities nationwide, a “Top-Rated Charity” designation with an “A” rating from CharityWatch and Great Nonprofits, and membership in the Better Business Bureau’s Wise Giving Alliance for meeting all 20 standards of charity accountability. Since her appointment in 2010, Dr. Ganzert has spearheaded unprecedented growth and transformational change at the historic 140-year-old nonprofit, which has reemerged as the most effective humane organization in the country, directly touching the lives of more animals than any other in the field through innovative, life-changing and life-saving programs that set the gold standard in animal welfare. Dr. Ganzert has dramatically expanded the scope and scale of the organization’s programs, launching a first-of-its-kind third-party certification program to protect animals in zoos and aquariums worldwide, and spurring the meteoric growth of American Humane’s farm certification program, driving a more than 1,600% increase in the number of protected farm animals. American Humane is now the largest certifier of animal welfare in the world, overseeing the care of some 1 billion animals. Additional highlights include leading American Humane’s emergency rescue missions to help the animal victims of catastrophic disasters, from Superstorm Sandy to Hurricanes Harvey and Irma, launching a groundbreaking clinical trial documenting the efficacy of therapy dogs in helping childhood cancer patients, founding the Congressional Caucus for the Humane Bond, and securing a major legislative victory with the passage of language in the National Defense Authorization Act, mandating that all American military working dogs must retire on U.S. soil. Dr. Ganzert is the presenting host and executive producer of the American Humane Hero Dog Awards on Hallmark Channel, and the host of her own radio show, Loving Animals with Dr. Robin Ganzert” on Pet Life Radio. A highly sought-after public speaker, Dr. Ganzert regularly offers her experience and expertise to a diverse range of international audiences, from speaking engagements at global industry forums to Congressional briefings delivered to top U.S. policymakers. She is regularly featured in the nation’s leading news and media outlets as an authoritative voice on animal welfare. She has appeared on the TODAY Show, World News Tonight, CNN, Fox Business News, Fox and Friends, among many other media. Her perspective has been featured in leading newspapers, including The New York Times, The Wall Street Journal, The Washington Post, USA Today, Chicago Tribune, Los Angeles Times, and the Boston Globe.